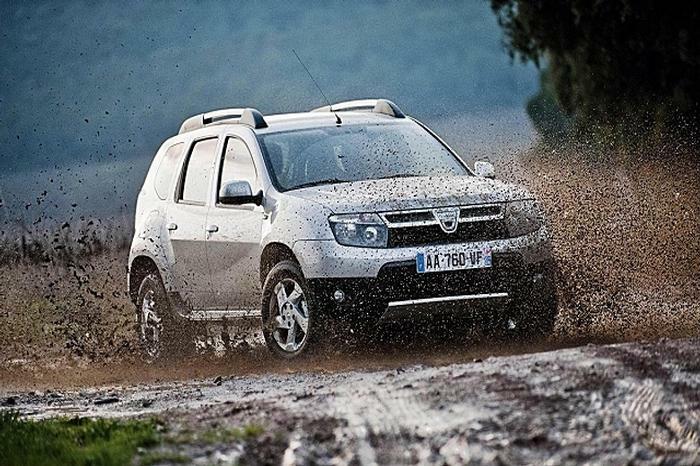 Here's the Carzone.ie guide to buying a used Dacia Duster. Dacia is a value brand affiliated with the Renault-Nissan Alliance and it originally began in Romania, making old Renaults under licence. That means it has a far closer allegiance to Renault than it does Nissan, confirmed when the French manufacturer officially brought Dacia under its wing in 1999. The aim of Dacia is to provide affordable new-car products to customers, without regressing motoring to an age when airbags were just a pipe dream. To that end, most Dacias are simply older models of Renault, dressed up in Romanian bodywork and sold cheaply. Perhaps this company’s finest hour, though, is Dacia’s flagship – the Duster SUV. Based on the ‘B0’ platform, which underpins (among other things) older models of Renault Clio and the Nissan Juke, the first-generation Duster was a genre-busting machine. It offered all the interior space and 4x4 strengths of large C-segment crossovers/SUVs, but yet was priced at a level that saw it undercut smaller B-segment vehicles. It’s a very versatile, no-nonsense SUV. Dacia kept it simple in Ireland – while petrol engines were available for the Duster Mk1 in other markets, here we just got the 1.5-litre dCi four-cylinder turbodiesel. With 110hp and 250Nm, it’s a perfectly acceptable motor, if a little coarse by modern diesel standards, and it could be paired to either front- or four-wheel drive – which Dacia branded 4x2 and 4x4. A six-speed manual gearbox was the default transmission in all Mk1 Dusters, right up until a point very late in its life (almost the end of 2016) when a six-speed EDC automatic was offered as an option, although only with 2WD. Trim levels ran Alternative, Signature and Prestige, and while we avoided the extremely base-spec Dusters with black bumpers and wind-up windows offered in some markets, the Alternative model is still fairly primitive – electric windows only in the front, 16-inch steel wheels, central locking, front fog lights, a multifunction steering wheel, tinted windows, ISOFIX mounting points and a CD/radio with Bluetooth are the only toys. Signature and top-ranking Prestige cars can come with touchscreen navigation and other luxuries, however, which makes the Duster’s bargain-basement pricing look even more tempting. If you’re going to have a Duster, you might as well get the 4x4 model, because then you’re getting the cheapest ‘true SUV’ that money can buy. We think the Duster makes terrific sense in what is lovingly, if jokingly referred to as ‘UN-spec’ – it needs no extras on it at all, white paint, black bumpers, steel wheels and the minimum of luxuries. However, we all know that while the ideal is one thing, the reality is quite another and so a nicely-stocked Signature is probably the sensible way to go. In a style-conscious age, it might seem like the back-to-basics, hyper-value ethos of the Dacia Duster would not strike a nerve with a buying public obsessed with personalisation gewgaws and soft-touch interior finishes. But nothing could be further from the truth – the Dacia’s honest-to-goodness, unpretentious nature has found it many a loving home. With an all-new, second-gen model now in showrooms, the used Mk1s make incredible sense for those looking for a sound family vehicle that is never going to let them down, and one which will not break the bank, either.